“Carving Out A Life” is a 324 page double sided flip book by Brian Mceneny. The book tells the story of a young ski instructor’s career that is ended by injuries. Over the next 40 years he carves out a new career as a chainsaw sculptor on the Oregon Coast. The 2nd portion is a 152 full color page coffee table photo book that feature over 350 images of Brian’s work. This book start with a collection of poems written in my youth. The poems follow my journey as an aspiring ski professional in search of the never-ending party and good snow. Since all the poems were written 40 to 50 years ago, I’ve added backstories to give the reader a sense of what was going on in the world at that time. I’ve also included a few stories about being a ski instructor and pro patrol, and how those incidents impacted my life and influenced these writings. The journey began in high school in Portland, Oregon, and on Mt. Hood where I started working as a ski instructor and professional ski patrol, moving on to skiing jobs in Idaho; Lake Tahoe; and Montana before a severe and reoccurring knee injury ended the lifelong dream of being a professional skier. This book is not intended to be a complete autobiography—it’s a snapshot of a specific 13-year period that started at the age of 16 (1965-1978). And instead of keeping a traditional journal to chronicle events, I wrote fictional and nonfictional poetry and prose, translating various experiences and observations. At the age of 29, the writing stopped because I just ran out of things to say. When I was unable to work as a professional skier, I floundered for a while until finding my true love and calling as a professional chainsaw carver. 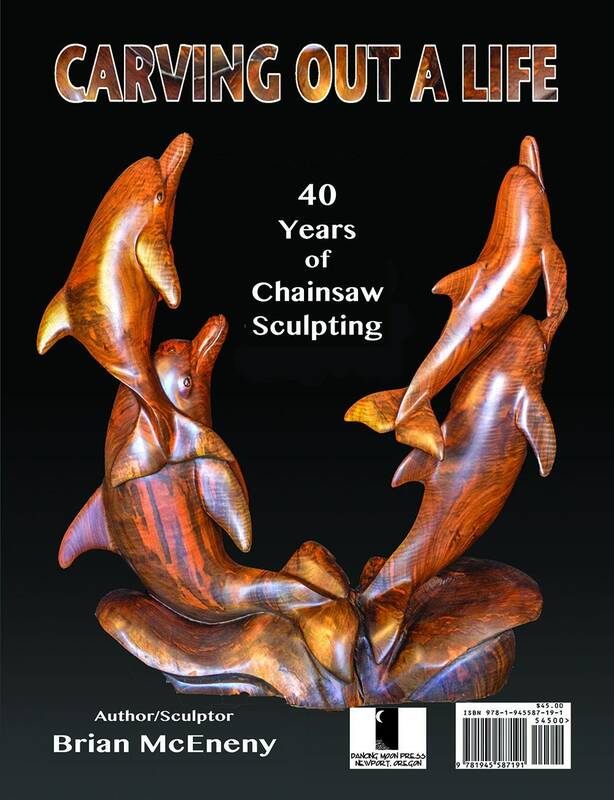 The second half of this book features my work as a chainsaw artist over the last 45 years.